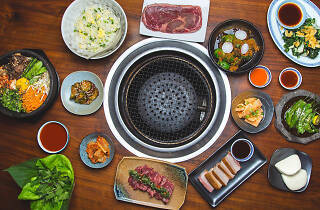 Craving Korean BBQ, Miami? These spots will get you grilling and eating like a pro. 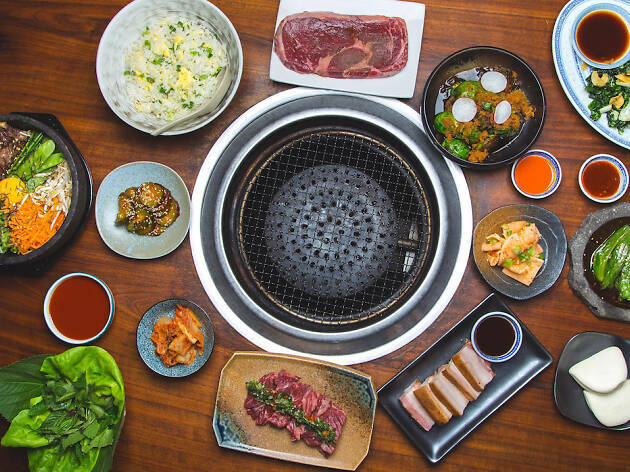 When it comes to Korean BBQ, Miami, we have more options than you may think. We’re no LA—sure—but if you know where to look, you can find some really tasty options. 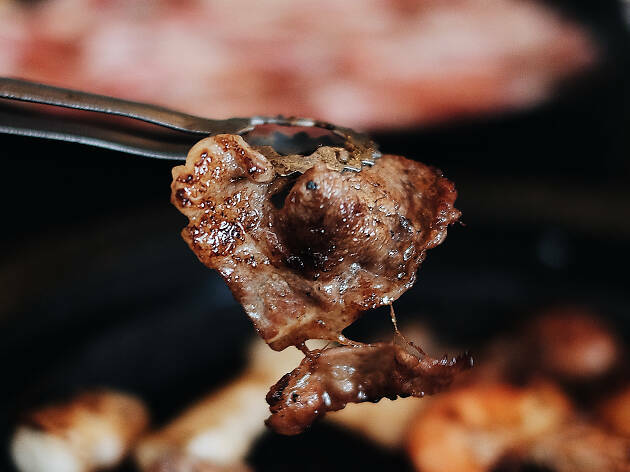 We have your traditional grill-your-own food setups (our favorite way to enjoy Korean barbecue) but there are also some Korean takes coming from one of the best Cuban restaurants in Miami as well as one of the best restaurants in Miami. It seems these days everyone wants to take a stab at the food. And we’re certainly not complaining. But one thing these places all have in common: some damn good Korean barbecue. What is it? 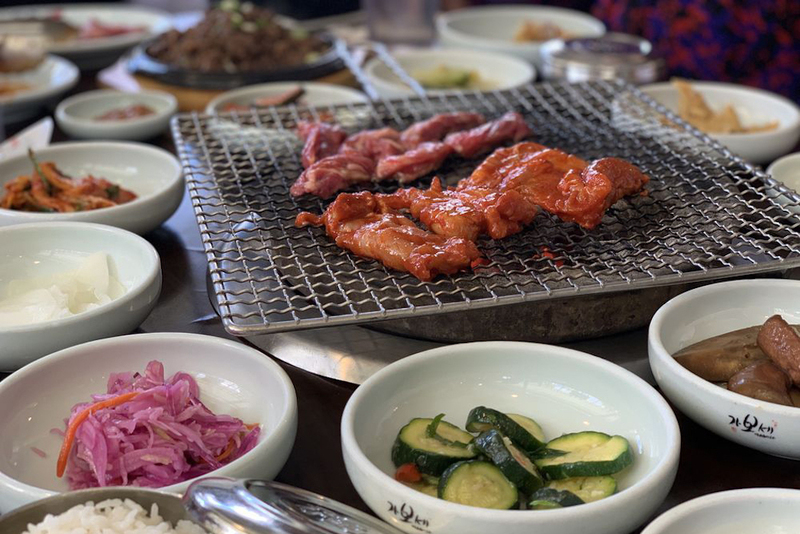 You may very well pass this unassuming Alton Road strip mall and not think much, but look closer and you’ll find one of South Beach’s first Korean BBQ restaurants. Inside, trendy Miamians scarf down modern Asian-fusion tapas and tiki-themed cocktails. The tables have communal grills, where you can roast Japanese wagyu, lamb chops veggies and more. Why go? 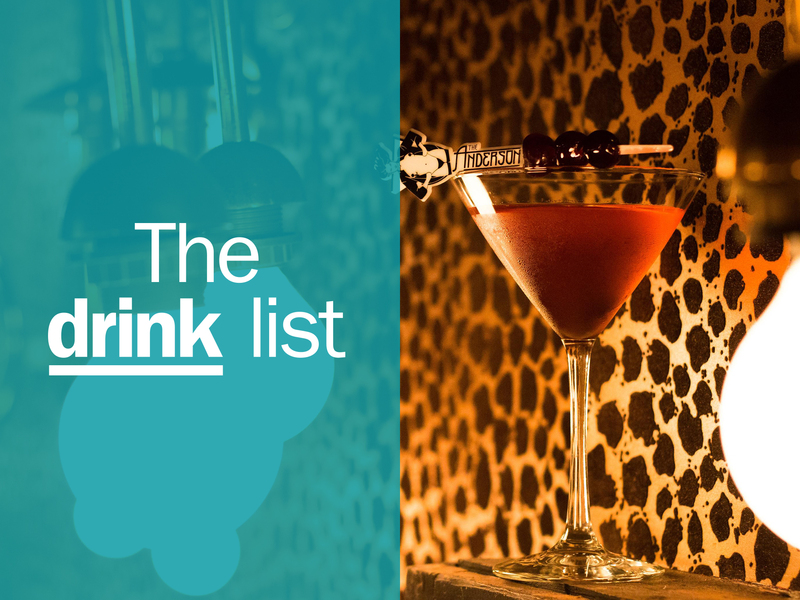 For after-dinner drinks at Foxhole, Drunk Dragon’s speakeasy sister bar. What is it? The venture of the grandchildren of the Islas Canarias empire (home to some of Miami’s best Cuban comfort food). 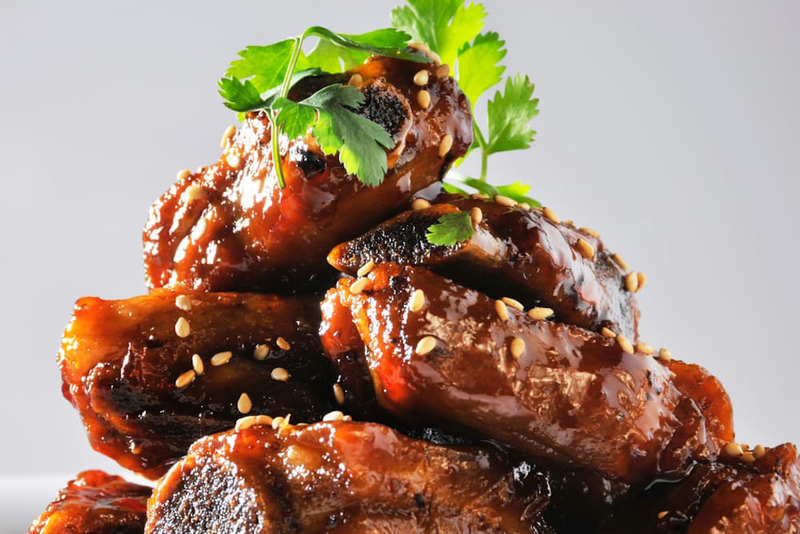 It may not sound like Korean barbecue because, well, it’s not. But, chef Eileen Andrade has snuck some Korean plates onto her menu and they’re good enough for us to sneak Finka onto this list. Why go? The “KFC,” or Korean Fried Chicken with spicy gochujang and boniato bread. It’ll leave you sweaty and happy. What is it? 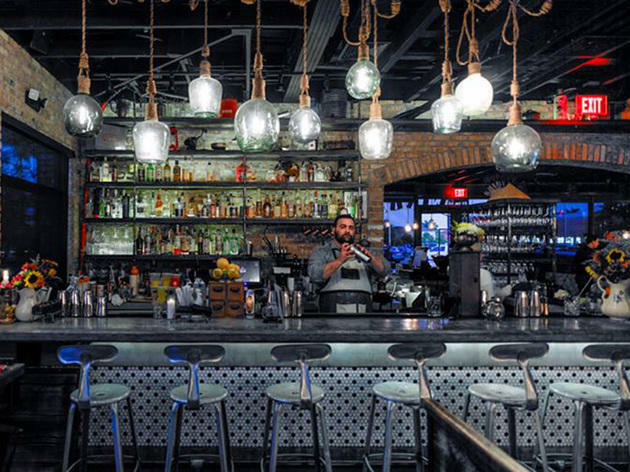 One of Wynwood’s best restaurants and one of the most popular ones in Miami. Period. KYU is more Japanese barbecue than Korean, but when it branches out into the latter—boy, does it work magically. Why go? 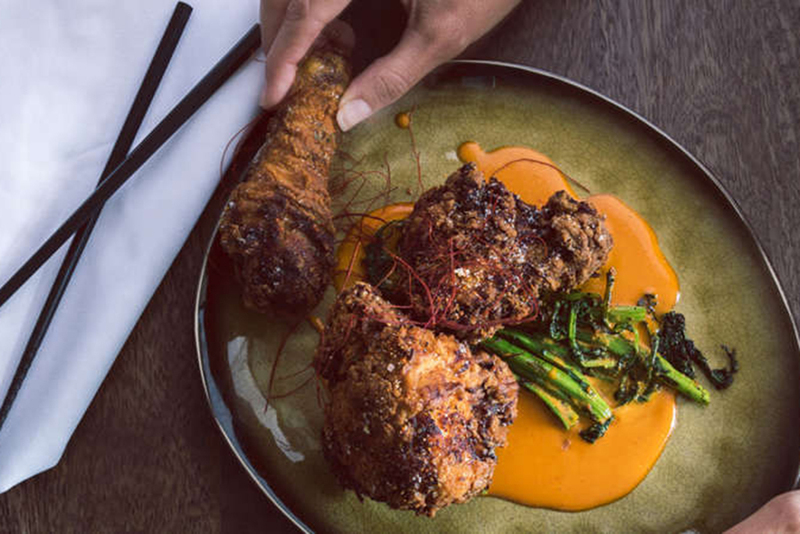 The wood-fired Korean fried chicken with braised spinach and red chili butter. You’ll see what we mean. What is it? Hidden at the bottom of Dadeland Station, you may stumble upon while shopping, but you’ll go back regardless if you need to buy new shoes. 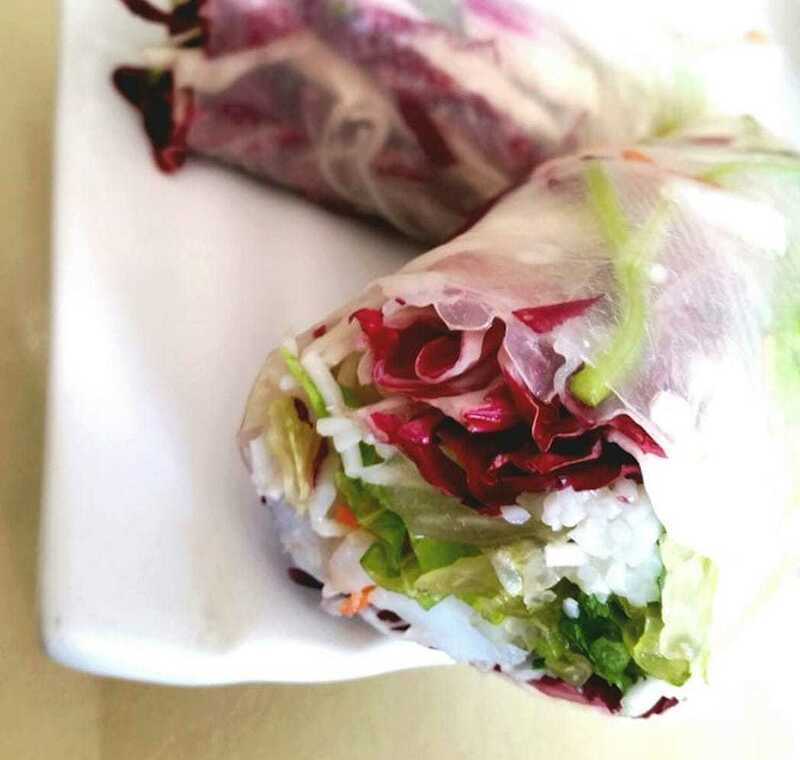 It’s known for its pan-Asian mix of Japanese, Chinese, Korean, Thai and Vietnamese plates (even sushi), and is home to what we think is Miami’s most impressive bubble tea bar. Why go? 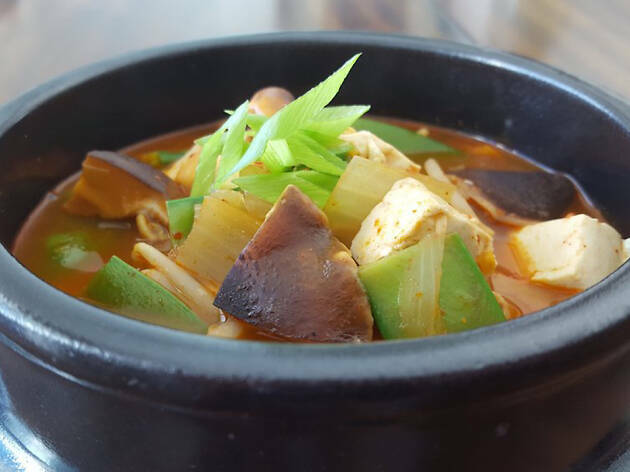 If you like your food with some heat, get the spicy Korean tofu stew with pork belly and sausage. What is it? Like its name implies, this family-owned spot is a sushi house with a Korean barbecue restaurant inside. 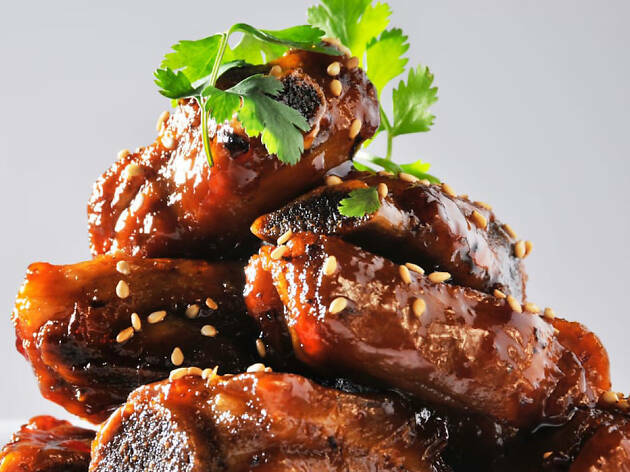 The Korean menu is pretty extensive, with an impressive list of appetizers, soups, hotpots and more. Why go? 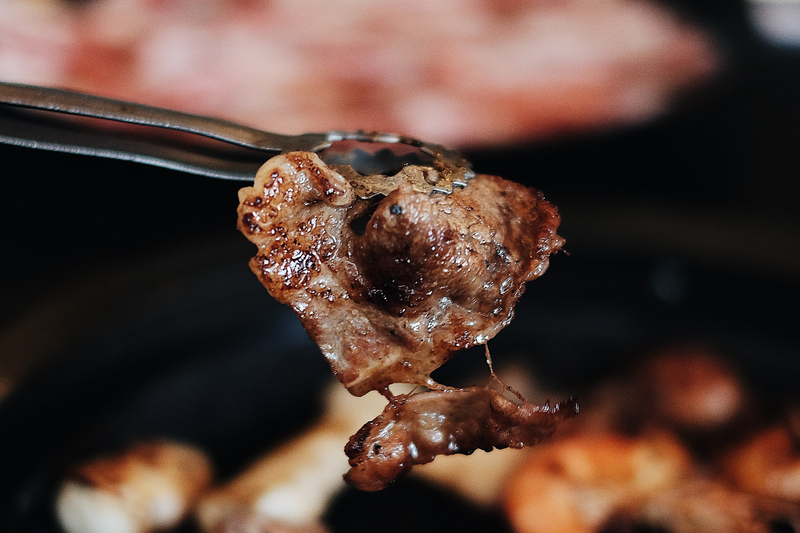 You can grill right at the table, and the adventurous eaters should go for the beef tongue. What is it? 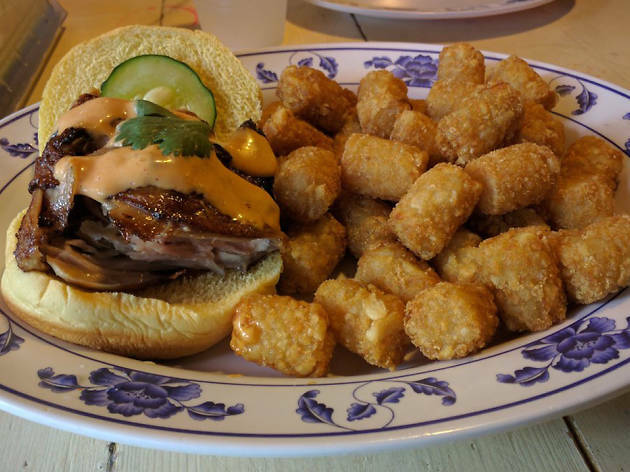 This Korean-fusion eatery puts a creative spin on Asian comfort food with dishes (and a side of tater tots) that’ll have you loosening your belt. Just ask Guy Fieri how good it was—he stopped by on an episode of Diners, Drive-Ins and Dives. Why go? For the Korean pulled pork sliders with house-made kimchi slaw and a quick pickle. You may want to immediately order more. What is it? 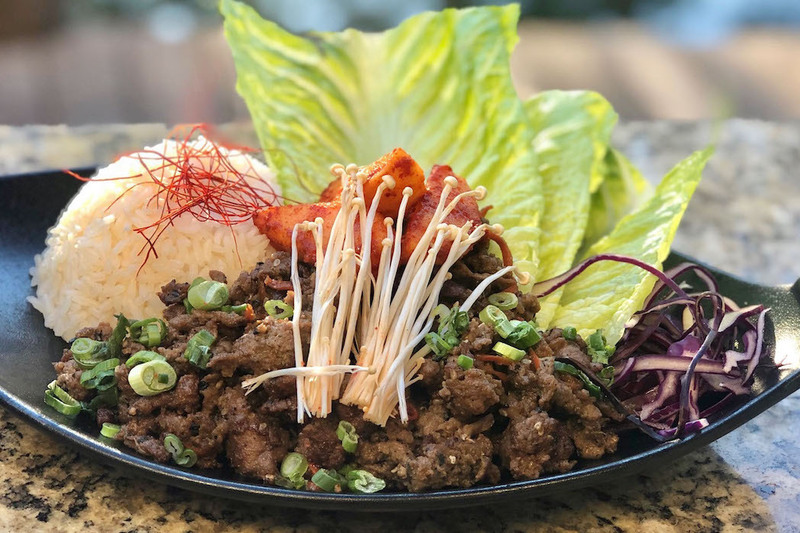 Find this mom-and-pop restaurant in a Doral strip mall, where it’s serving real-deal Korean food. 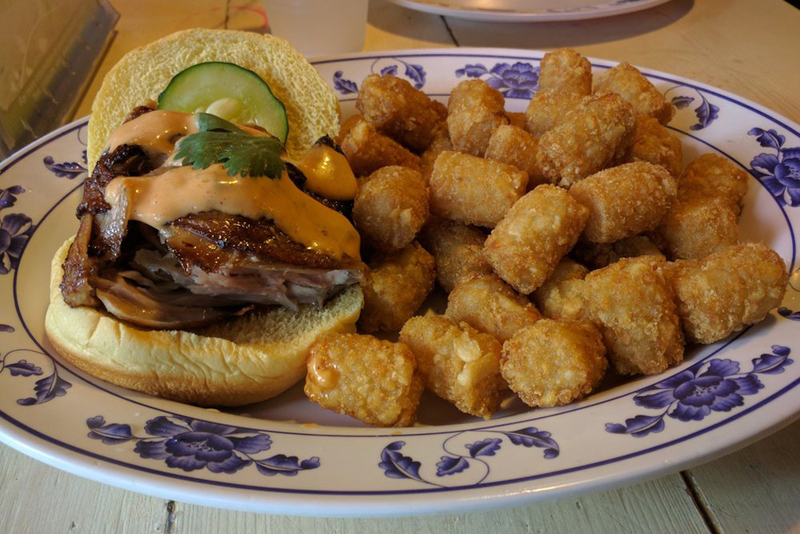 It’s owned and operated by chef Mi Yeong Kim, who grew up on a military base in South Korea, and her husband Hee Gyu Kang. Why go? 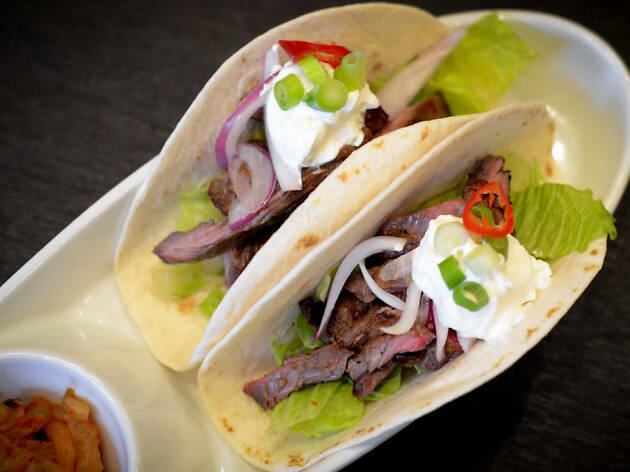 It has Korean barbecue everything, but, personally, we could eat 100 of the beef bulgogi soft tacos with kimchi salsa. What is it? 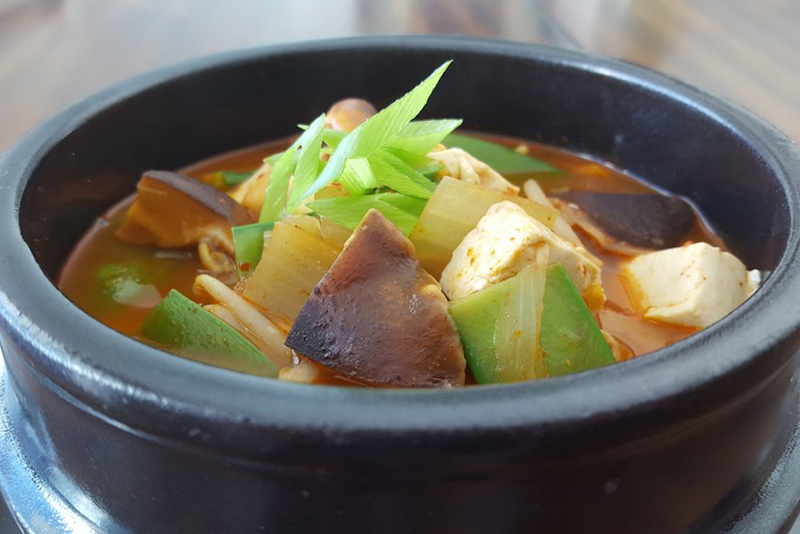 Owner Mijin Lee grew up on a farm in Taean, a small agricultural city in South Korea and the menu—short but focused—reflects Lee’s childhood, which was spent making kimchi and gochujang out of clay urns in her family’s backyard. Why go? To get your paws on the Korean-style lettuce wraps filled with spicy chicken thighs and a side of spicy ssamjang. What is it? 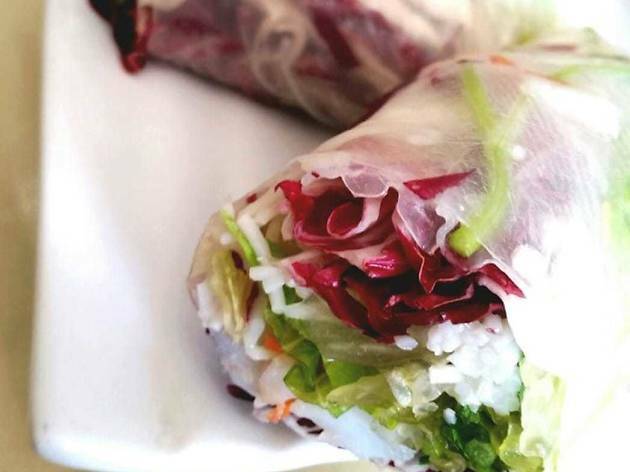 South Dade isn’t where you’d think to go for outstanding Asian food, but this hole-in-the-wall proves us wrong. Chef and part-owner Lek Ratanavong grew up cooking under her grandmother’s watchful eye in Northern Thailand but the menu is diverse: everything from Thai, Vietnamese, Korean and Japanese dishes to a pretty big sushi menu. Why go? God bless the Korean barbecue beef short ribs with the restaurant’s special house sauce (which you’ll want an extra side of). What is it? 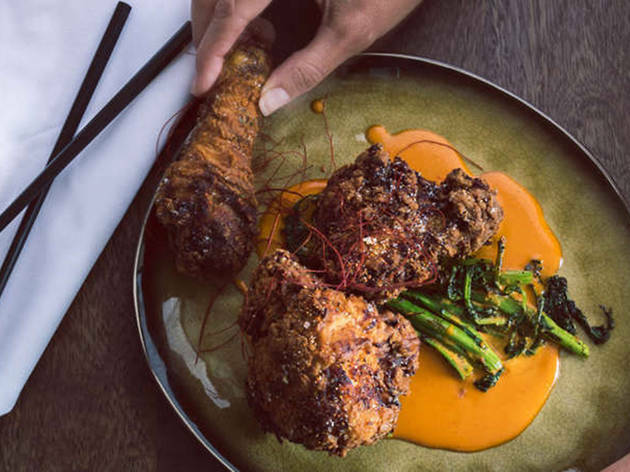 Located on Fort Lauderdale’s historic Las Olas Boulevard, this pan-Asian restaurant has a Latin American influence and a calming space complete with its own zen garden. 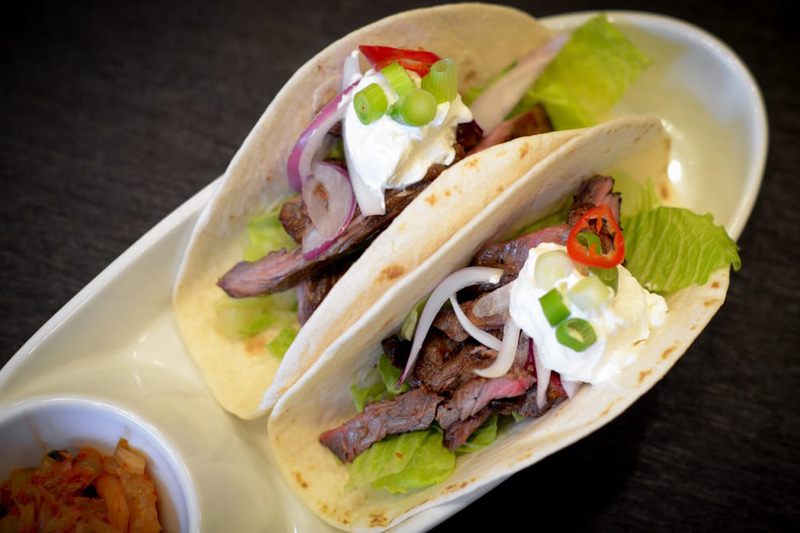 In terms of the Korean options, think Korean street tacos, bulgogi with marinated rib eye and gochujang sauces. Why go? Every meal starts with a bowl of popcorn drizzled with spicy chili sauce, which—really—is how every meal should start. What is it? The Design District’s new super chic Tokyo-style drinking den and restaurant (and hidden bar, Ama, where no photos are allowed) doesn’t shy away from Korean flavors, which is good news for your taste buds. Why go? 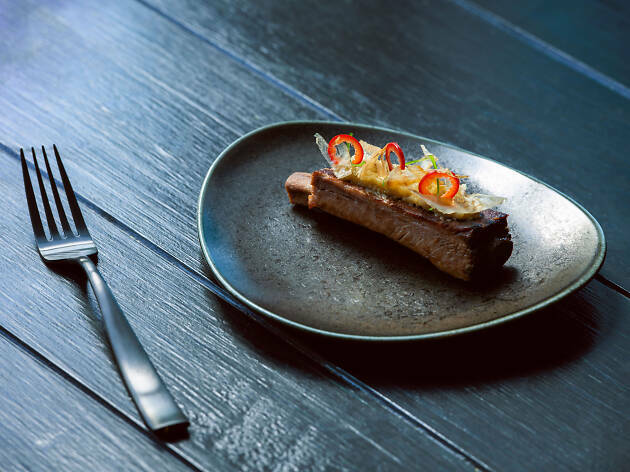 Order from the appropriately-named “Indulge” menu and choose the Korean-style short ribs with gochujang, roasted garlic and charred scallions. What is it? 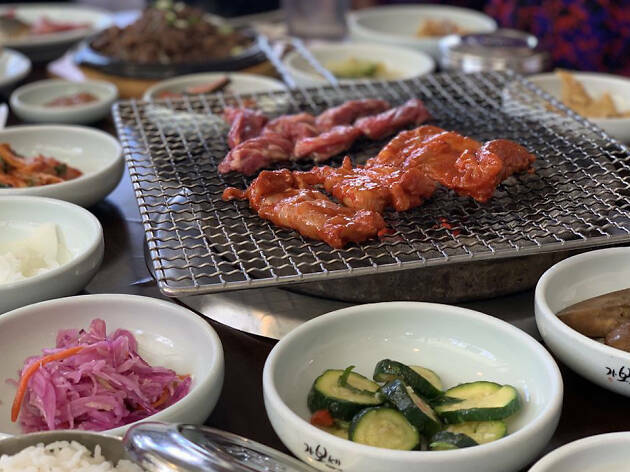 Foodies will travel the hour trip for this affordable, authentic Korean barbecue spot, and then immediately drive back to the 305 and tell all their friends that it was worth it. This restaurant is also one of the few in South Florida that let you cook over a charcoal grill. Why go? 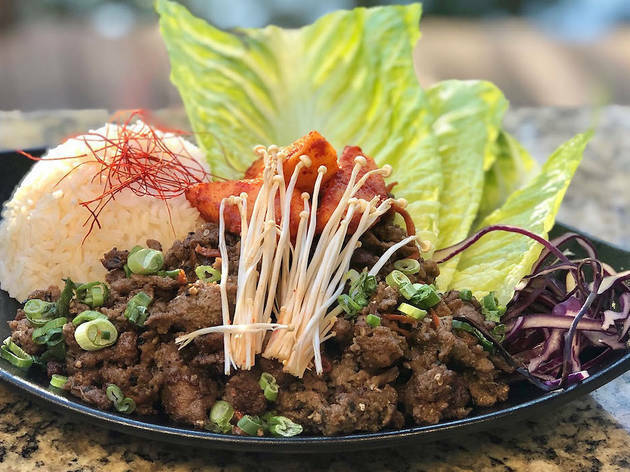 Every main dish is served with ten bowls of “banchan,” a mix of different appetizers, toppings and sides like fish cakes, pickled cabbage and more. Prepare to eat. These are our favorite places to drink in the entire city.